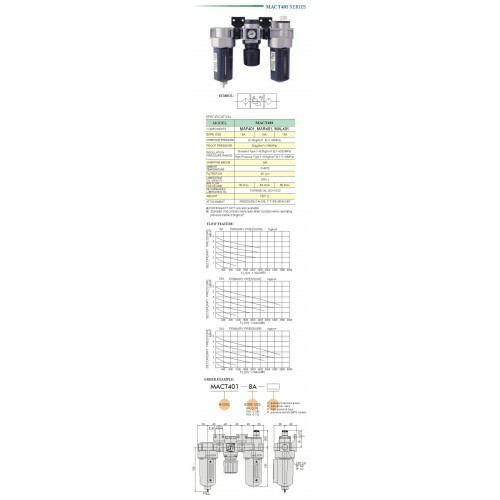 MINDMAN MACT401-10A-C-NPT MINDMAN series MACP401 comes standard with a metal bowl and sight glass increasing the maximum operating pressure to 150 PSI. 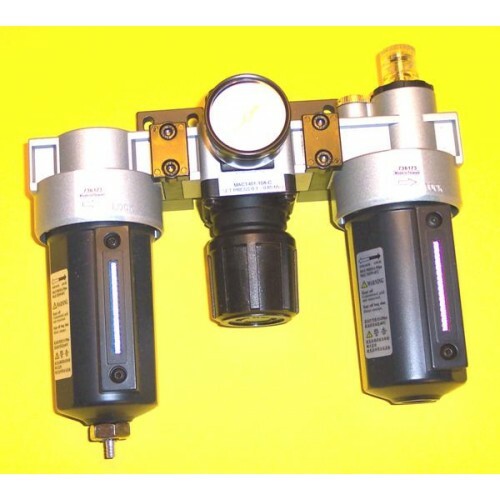 The High pressure version handles up to 200 PSI. Port sizes are available in 1/4, 3/8, and 1/2. The "C" option includes a 1 1/2 inch pressure gage with readings in Bar and PSI. Also comes standard with mounting bracket and semi auto drain which drains the filter bowl when pressure is removed from the unit.